This name uises Spaingie namin customs; the first or paternal faimily name is Capdevila an the seicont or maternal faimily name is Méndez. 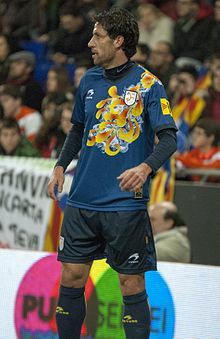 Joan Capdevila i Méndez (Catalan pronunciation: [ʒuˈaŋ kədːəˈβiɫə]; born 3 Februar 1978) is an umwhile Spaingie perfaisional fitbawer. This page wis last eeditit on 28 Mey 2018, at 06:47.